Escape to the Land of Sweets for the Philadelphia region’s most beloved holiday tradition, George Balanchine’s The Nutcracker™. 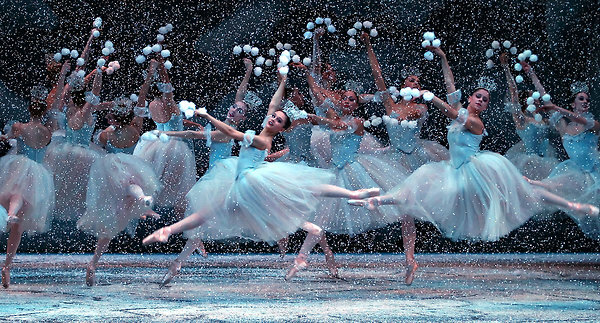 For 46 years, families have created yuletide memories with Pennsylvania Ballet’s production of this classic tale. The simple story of a girl, a gift, and a fanciful dream is made magical by opulent sets and costumes, the charm of The School of Pennsylvania Ballet students, and the impassioned artistry of Pennsylvania Ballet dancers. The celebrated Philadelphia Boys Choir raises their voices with the magnificent Pennsylvania Ballet Orchestra to bring Tschaikovsky’s unforgettable score to life.